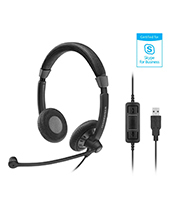 Jabra EVOLVE 75 Wireless Headset has two models, which are Jabra EVOLVE 75 Stereo UC optimised for unified communications and Jabra EVOLVE 75 Stereo MS optiimised for Skype for Business. Both of these headsets are compatible ith the following platforms, including GoToMeeting, Cisco WebEx, ChromeBox, Fuze (Formerly ThinkingPhones), ClickMeeting, JoinMe, Adobe Connect, eVoice, Onstream Meetings, and StartMeeting. 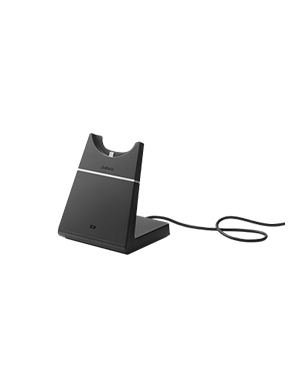 Jabra EVOLVE 75 Wireless Headset is recognised the best headset for concentration in open workspaces, through its superior ANC (Active Noise Cancellation) feature and its integrated buslight. The ANC feature can be switched on and virtually eliminate low-frequency sounds like rustling papers and the humming of air conditioning. The feature works excellently with the advanced micropohones integrated in the headset, which are used to counter and monitor ambient noise. This feature is excellent for supporting world-class quality calls and music. The integrated busylght on the other hand acts like a “Do Not Disturb” sign that reduces interruptions and noises, which in the prcess enhances produtivity. Jabra Corporation is the leader of the GN Netcom. The company continuously build a reliable reputation as the leading supplier of hands-free communication solutions. The company is well-known for having its award-winning corded and cordless headsets, which consistently receive design and product awards, including CNET Editor’s Choice, T3 Gold, Red Dot Mobile Choice Vest Accessory, iF Product Designs, and CED Innovation. 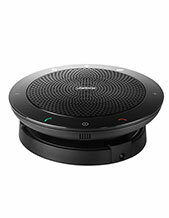 Jabra boasts its offers high interoperability with lots of mobile and wireless devices. 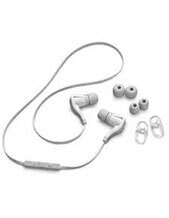 More than just being award-winning, these offers also takes pride in integrated the latest cutting-edge technologies that it has developed in its headsets. These offers all aim to do one thing, which is to allow users to freely use their mobile communication devices with as much freedom and flexibility as possible. These advantages in the process help users to maintain their productivity, wherever they may be and especially when it comes to mobile and remote settings or locations.